Looking at other travel blogs and websites is becoming dangerous for me. My bucket list of places to visit keeps expanding. Ever since we went to Alaska and Glacier National Park I've wanted to see other glaciers. Now, it looks like a trip to visit Patagonia will be added to my bucket list. 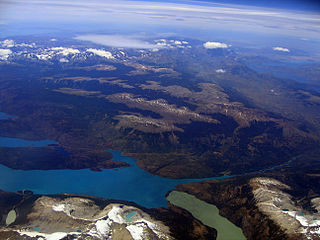 Patagonia is between Chile and Argentina. It includes part of the Andes Mountains to the Pacific Ocean and through the Colorado River to the Atlantic Ocean in the east. Glacial lakes are said to often hold icebergs which I'd like to see. But don't think that this land is all ice and snow. There are green valleys, wildlife and low lying rivers. Hubby and I have discussed taking a cruise for our 25th anniversary. Maybe we should consider a Patagonia and Cape Horn cruise. One of the most interesting cruise routes goes through the Strait of Magellan and Beagle Channel. This cruise carries visitors to the Pia Glacier and to the Garibaldi Glacier. Part of my interest cruises to see glaciers stems from the fact that they are shrinking. I've been told that many glaciers worldwide may be gone in the next few decades. This makes me incredibly sad and spurs my interest in seeing them before it's too late. Cruises from companies like the one linked above carefully consider the environment. They understand the delicate balance between protecting the environment and tourism. What is a vacation to some may be part of a days work for another. Some cruises even have scientists aboard who are studying the Patagonia region. How does all this sound for amazing? Plus the prices are lower than you'd expect. All of this adds up to placing a cruise to Patagonia on my bucket list.